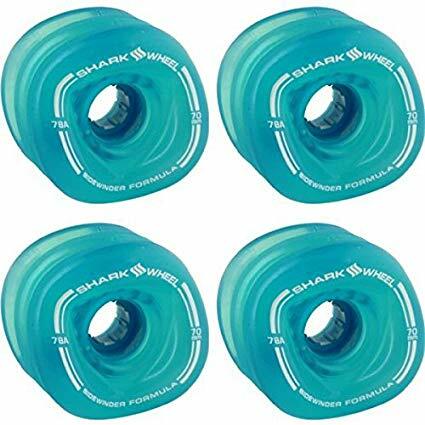 The Shark Wheels Sidewinder 70mm 78a Skateboard Wheels are built for across the board performance. 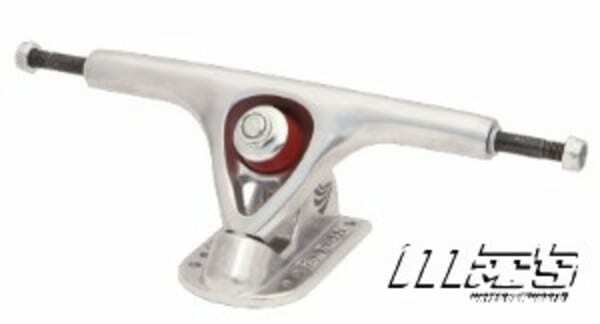 Perfect for any longboarder regardless of level, Sidewinders have multiple performance advantages. First of all, the Sidewinders show a distinct advantage going over any rough terrain. Pebbles, dirt, sand, water, etc. are simply pushed left and right as the wheel rolls because of its sine wave pattern. Instead of avoiding bad patches in the road at all costs, Sidewinders will give you the confidence that nothing can stand in your way. Second, there is little friction in contact with the ground. 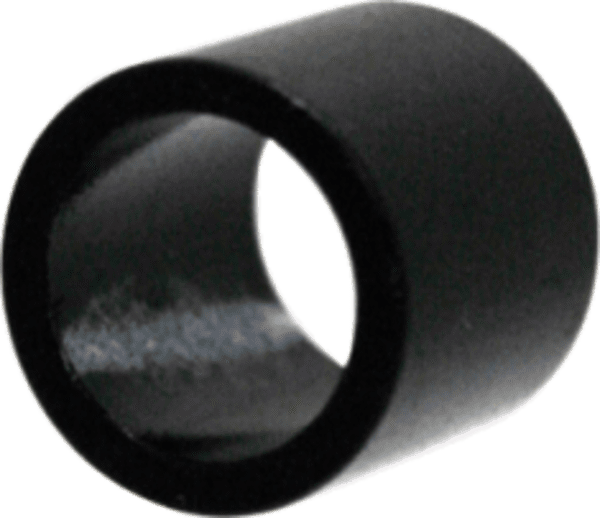 This reduces rolling resistance and makes the wheel fast. 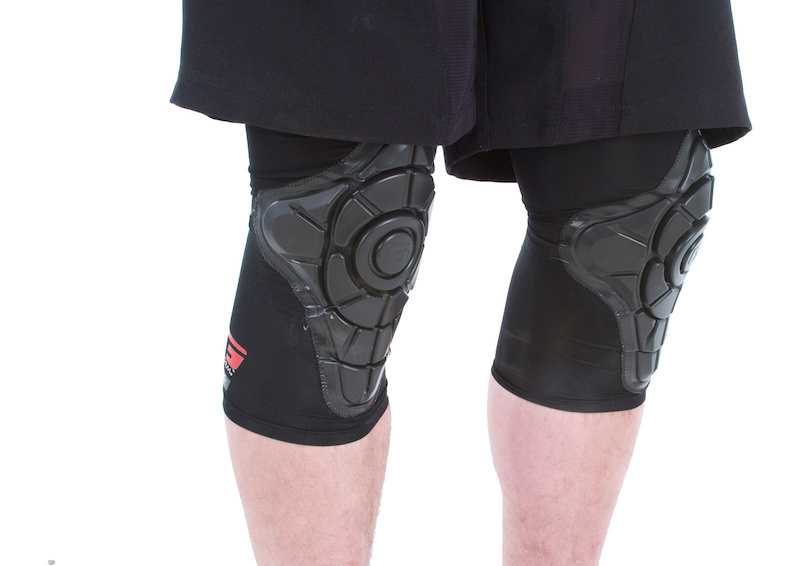 No need to push over and over again, Sidewinders get up to speed right away. Third, you will find a 15% longevity advantage in cruising situations. 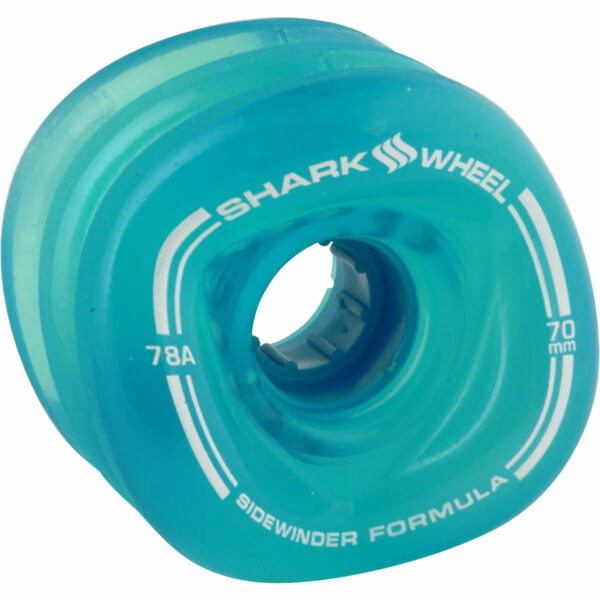 Traditional wheels have one center point, while Shark Wheels have multiple center points. It takes longer for the wheel to wear out. Finally, Sidewinders are great slide wheels. Less friction equates to easier slides. Also, the 3 lips of the wheels grab compared to a traditional wheel’s 1 lip. Cruising, fast cruising, freeride, and fast freeride is the sweetspot for the Sidewinders. Sidewinders look square when rolling, but feel buttery smooth when riding. Get to class, ride to work, or bomb hills these do it all.